Do you ever walk into a room and feel like you don’t have everyone’s attention? Do other people really respect what you have to say? Do they take your opinion seriously? Do they believe you’re the sort of the person they aspire to be? Do you exude self-confidence that makes you dominate every discussion you take part in? Do they mess with you? Or stay away from you, knowing this brotha ain’t somebody they can bully? Do people try to copy you including your alpha male exercise in gym or in any other places you workout? If you’re thinking are these the advantages of being an Alpha Male, then heck, yeah. They are. All these qualities and traits shines out of an Alpha Male. All these qualities shine, from you not being a whiner but a winner, by constantly putting in the work and becoming a man on a mission because ultimately becoming an Alpha Male is becoming the greatest version of yourself, and it all starts with the body, mind and the soul, hence, the reason for writing this article. Now, enough of the Alpha and let’s focus on what you’re here for. That is the Alpha Male exercises. To become an Alpha Male you need to work harder and more ferociously than any one else. You must always focus on doing exercises where you can get more and more work done without actually increasing your work time. You ought to fix a time [ say 30 mins ] and then do as many workouts as you can in that time frame only. Your time should not increase, only your number of reps and workouts. To do this you need to rest lesser and push harder. It’s these kinds of intensive workouts which will help you in getting stronger, quicker and better. To develop the right body frame we’ll focus on BMI , body weight training and HIIT. Body mass index, is a value derived from the mass (weight) and height of an individual. The BMI is defined as the body mass divided by the square of the body height , and is universally expressed in units of kg/m2, resulting from mass in kilograms and height in metres. 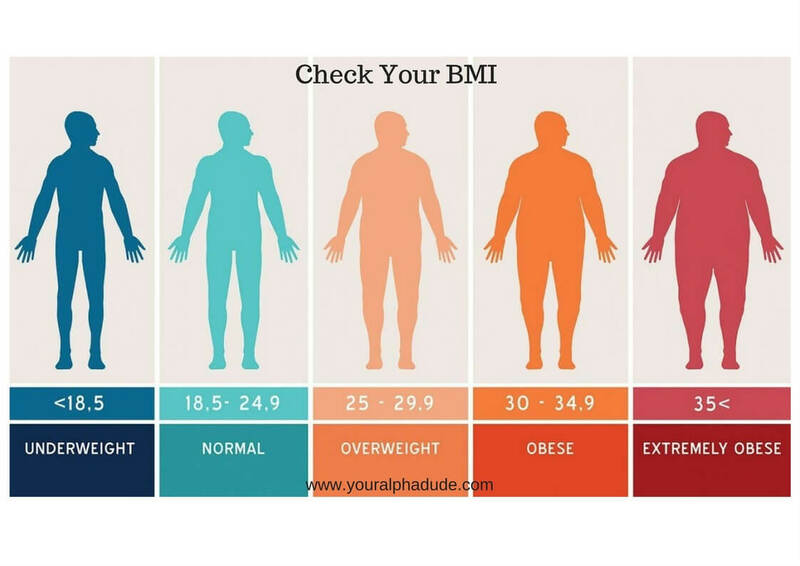 The BMI is an attempt to quantify the amount of tissue mass (muscle, fat, and bone) in an individual, and then categorize that person as underweight , normal weight , overweight or obese based on that value. Now, BMI is important as it is widely regarded that your chances of having a longer and healthier life are improved if you have a healthy BMI. Have an eye on your BMI for a healthier and prosperous life. Now, after some basics, it’s time for the real exercises. 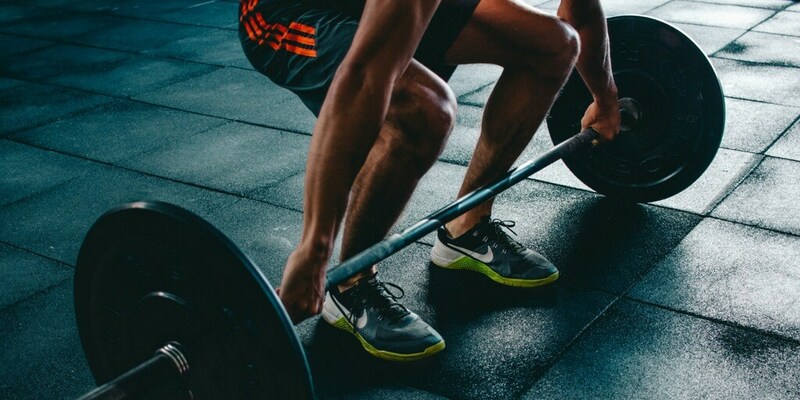 Body weight training are strength training exercises that do not require free weights or machines as the individual’s own weight provides resistance against gravity. It is recognised that body weight exercises can enhance a range of biomotor abilities including strength, power, endurance, speed, flexibility, coordination and balance. Body weight training utilises simple abilities such as pushing, pulling, squatting, bending, twisting and balancing. Movements such as the push-up, the pull-up, and the sit-up are some of the most common body weight exercises. Chin Up is a great exercise for building biceps. What if you can’t do much? 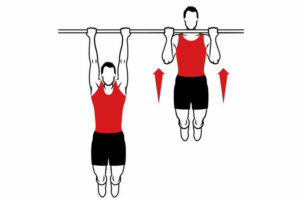 Do as many as you can and then switch to Negative Chin Ups. 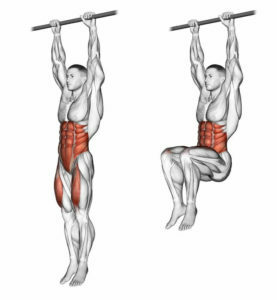 See your sixpack pop out with hanging leg work. Try to keep legs as straight as possible, but if it’s too hard bend your knees until you get stronger.Lift legs sideways to make your obliques burn, too. A plain regular Push Up does wonders for all parts of your chest. When it gets too easy move on to Hindu Push Ups, High Decline Push Ups etc. 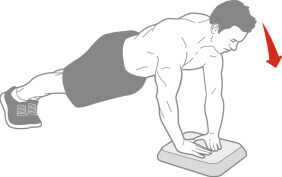 or just try do the regular Push Up really slowly- 3-5 seconds up, 3-5 seconds down. The higher your feet are, the more vertical you should be and the more burn you will feel. Always do your best to keep elbows close to your body, don’t let them flare out. Bulgarians are tough, but if you do them right there’s no way you can not feel your legs pumped. Make sure you place as much weight as you can on your front leg, the back leg is just for support. Push up from your heel. Calves can be a problematic area to build. Here’s how to train them for better results:take your shoes off so you can press up to tip toes. Or try putting on a backpack full of heavy books. Pull Ups give you wings. But only if you do them right. Keep elbows close to your body and make sure to start the pull with your lats, as if you’re trying to bring your shoulder blades together. HIIT, or high-intensity interval training, is a training technique in which you give all-out, one hundred percent effort through quick, intense bursts of exercise, followed by short , sometimes active, recovery periods. In other words, A high-intensity workout increases the body’s need for oxygen during the effort and creates an oxygen shortage, causing your body to ask for more oxygen during recovery. When participating in such high intensity workouts your body’s repair cycle goes into hyper drive. This means in 24 hours after a HIIT workout your body is still burning calories and fat whereas in steady-pace workouts, you may not. Steady cardio is of ten associated with losing muscle. HIIT workouts,however,combine weight training (the weight being your body) and effectively allows dieters to preserve their muscle gain while still shedding weight. Combining high intensity with interval training results in EPOC [ oxygen debt ], which speeds your metabolic rate and translates into a metabolism boost for up to 48 hours after a complete HIIT routine . Lie on your back, knees bent , with your feet on the floor. Tighten your core and using your abs, pull your head and back off the ground until you are sitting upright , with your back completely perpendicular to the floor. Pulling your abs in again, slowly lie back down into start position. Repeat . Stand with feet shoulder width apart , arms at your sides. Bend your knees, keeping them in line with your feet, and sit back into a quarter squat. 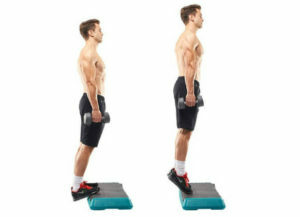 Perform a small jump, and land back in your squat position. Repeat. Get into plank position, hands on the ground directly under your shoulders, legs about hip width apart. Keeping your elbows tucked against your sides and your body in a straight line, bend your elbows and lower your entire body until it almost touches the ground (or as far down as you can). Return to start position. Repeat . Your body posture is key in sustaining your mind’s attention on your breath. As you prepare to meditate, focusing on your body posture can bring a sense of stillness that aids in attaining the stillness and focus of your mind; your breath becomes the link between your body and mind. 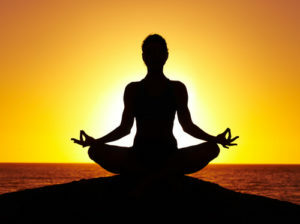 Sit cross-legged, which helps to contain your warmth and energy within your body and helps you keep your back straight. Keep your back straight, which aids the flow of energy and keeps the channels straight. Make your chest open, like an eagle soaring in the sky, to give yourself a sense of openness and lightness so you are not too tense. Hold your hands in the equipoise position (palms up, left palm resting on right, thumbs at the bases of the corresponding ring fingers, resting on your lap), which supports an inner sense of equanimity. Tuck your jaw slightly down and in to lengthen the back of your neck and lessen the wandering of your thoughts. Inhale/breathe in — Welcome all positive and nurturing qualities. 2. Exhale/breathe out — Let go of negative and obstructive qualities. 3. Relax — Find an inner space where you feel more connected to yourself. To be an alpha male, you must have balance— balance of the mind, body, and spirit.Yoga balance poses are so powerful because they combine all three together in one unbreakable unit, in which one cannot exist without the other. Your whole being must work together to keep a balance pose stable. If you fall, no big deal—get right back up and try again. Their purpose is to teach us how to focus and persevere with integrity and humility. Balance poses also help us improve coordination, increase strength, and develop stability, while reducing stress and relieving fatigue. You learnt a lot on how to find a right balance in your life by developing your body, mind and soul and took one step further into becoming a full fledged Alpha Male. Keep in mind that as you continue all these workouts you need to follow a routine. For ex- 30 minutes a day, 5 days a week, or something like that, depending on your fatigue and how much time you’re willing to invest. Proper rest is also necessary for your body to recover and grow, so take proper care and eat properly as well. Comment below on your thoughts and opinions about this article and some of the things that you learnt. 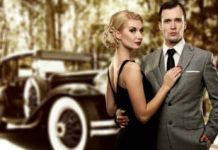 And since NOW you know Alpha Male exercises, I recommend you to check out the Alpha Male body language to unleash your inner Alpha within you. ➣➣ Click here to find out the shocking secrets to Alpha Male body language. Thanks for the info Profe. It gets easier every day. Amazing: this article is helpful kudos ..